Presenting a map of the 120 Most Expensive Single Family Home and Condo Sales ever recorded in Boston. Who knows. Let’s not over think it. Just go with it. With an entry point just north of $5,000,000, these properties certainly fit the bill as the cream of the crop in the Boston real estate market. All the map pins are clickable and will show property details including pictures and descriptions where available. Some of the pins are very close together, but if you zoom in, you’ll be able to give them all a look. We’ll be updating this map on a regular basis (hint, subscribe for the newest updates). And please share this page with friends! Buying or Selling downtown? Join Us for an upcoming webcast detailing the current state of the Back Bay real estate market. Average Sale Price of these properties is $6,914,000….1160% higher than Boston average prices! Tweet This! Broker Description: Boston’s most awe inspiring Penthouse ever to be built!!!! 14 stories above Back Bay, this 8,000 sf oasis features floor-to-ceiling windows on 4 sides providing unmatched and unobstructed views of Boston’s skyline, Cambridge and The Charles River. Unique in every way this sprawling top floor residence includes two large terraces and two enormous private decks spanning over 3,000sf, which can be accessed by private elevator truly allowing the city to become yours. Four garage parking spaces. In case you’re wondering, the condo fee was $10,246. Per month. That’s the same payment as a $2 million mortgage. Tweet This! So maybe the guy is having trouble winning football games all of a sudden but his future as a real estate mogul seems pretty secure. 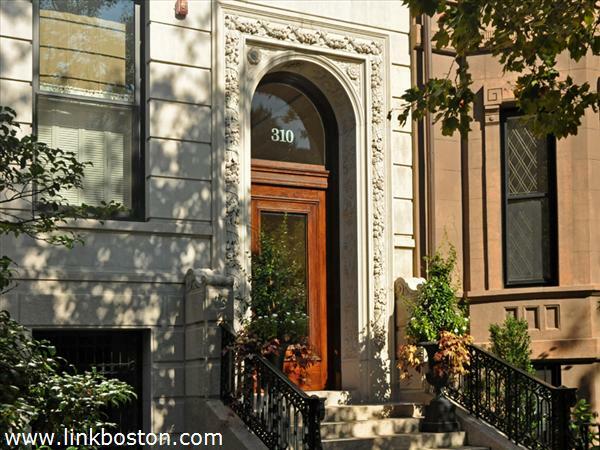 Sales of his homes appear twice on this list of the 120 most expensive sales in Boston! Tweet This! Broker Description: Situated in a magnificent limestone facade Mansion with direct access elevator from the inviting foyer, this impeccably designed Penthouse provides modern, high-tech elegance. Offering sweeping Views of The Charles River, landscaped roof-deck with sky kitchen, grand living room with vaulted ceiling and dual fireplaces. Sumptuous Master Suite with marble master bath, spanning his/her dressing rooms. This exquisite, luxurious 3+ bedroom, 3.5 bath property has a state-of-the art gym, club room, stunning kitchen, 6 fireplaces, 4 car garage parking and Doorman. 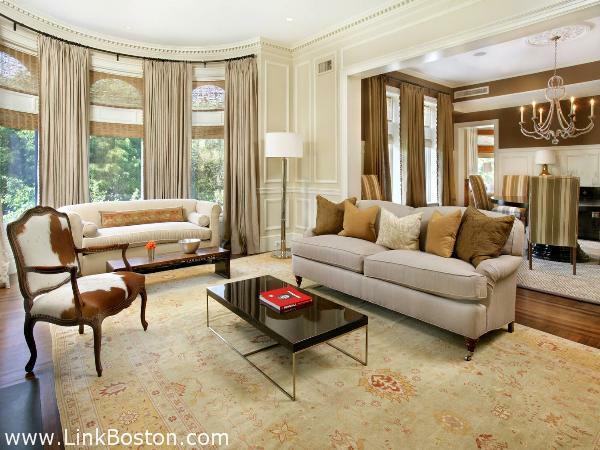 Description: Rarely available, Back Bay’s crowning jewel – The Burrage Mansion. The epitome of style and opulence – magnificent 3 bedroom floor-through residence featuring gorgeous museum quality lobby, elevator access to elegant foyer, fabulous kitchen opening to fireplaced family room, separate dining room, fireplaced living room, all overlooking the Commonwealth Mall. Beautiful master bedroom suite with marble bath and custom closets. Concierge services and two full garage parking spaces. Not unexpectedly, 2008 dominated this list with 28 Sales averaging $7.1 million. Tweet This! Why? One building. The Mandarin. Back Bay, with 82 sales Tweet This! Beacon Hill, with 24 sales Tweet This! Single family sales make up about 6% of sales in downtown Boston overall, but they clearly account for a much higher percentage of Boston’s most expensive real estate. 50 Battery Wharf #309/310 in the Waterfront is 2,704 sq ft and sold for $5.2 million (a cool $1923 per square foot) making it the smallest home to make our list. The Mandarin – a 5000 square foot unit on the 12th floor sold for $2,479 per square foot, one of only 2 sales in Boston history above $2000 per foot. Tweet This!